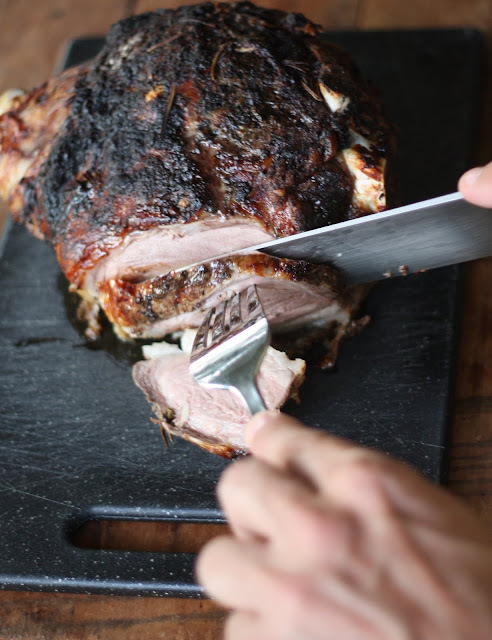 Honestly, I have never once cooked a leg of lamb. 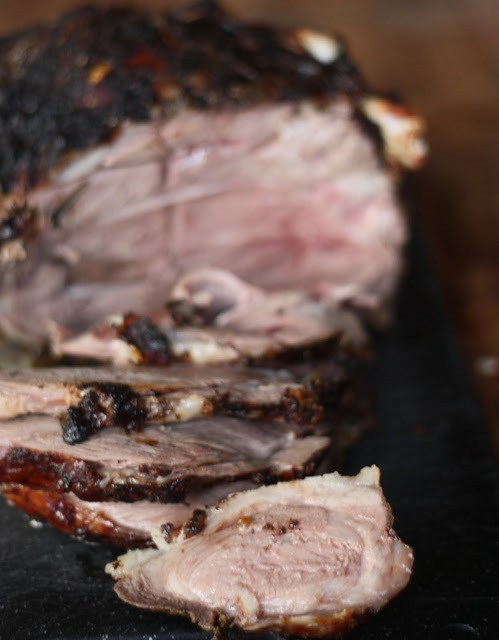 I've mastered lamb chops (in my humble opinion) but have always shied away from a full leg of lamb. Well, no longer I say — I picked up a 6 pound leg of lamb from the South of the James farmers market, namely Pair-A-Dice Farm, a couple weekends ago as we had a hungry family of 7 dining in. Nothing like cooking something you've never tackled before for the family! 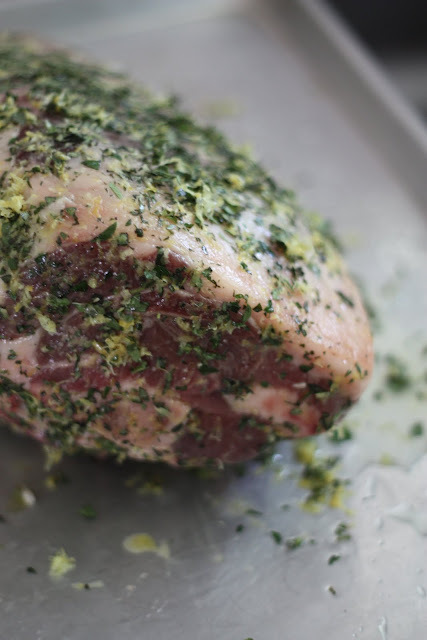 At this point the lamb should rest for 2 hours at room temperature. Into a 250 degree oven it goes for 2.5 hours or until a meat thermometer is inserted and reaches 140 degrees for medium rare. Remove from oven, tent with foil and let rest for 15 minutes. 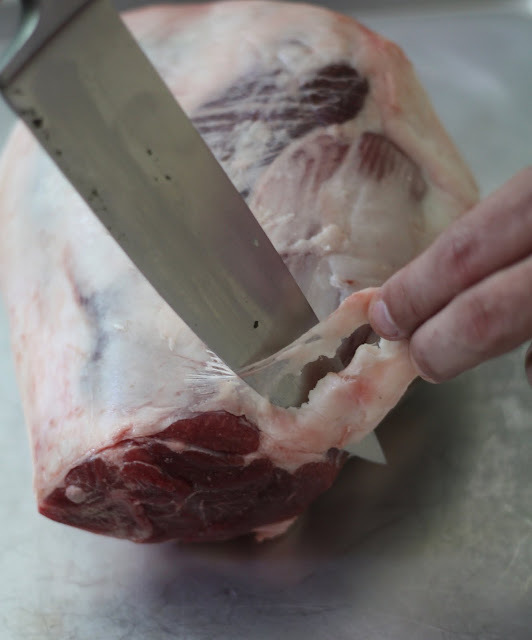 Turn oven to highest setting on bake and insert the lamb, watching carefully as you char the top of the leg which gives the edges that nice crisp texture. E.A.T. Tip: I served my version with tzatziki on the side. I like my lamb medium rare. My oven does run a little hot and I wish I would have taken mine out at the 2 hour mark, let it rest, then put it back in for the crispness. All in all for a first attempt at a leg of lamb, I think things went very well. It also caused my anti-lamb loving mother to rave about it for the next several days. Anything you've been to afraid to tackle in the kitchen? I'd love to hear. Veal kidneys - I am too afraid not to get them clean enough. And I love veal kidneys in a lovely mustard sauce! Weirdly, fish. For some reason, for a long time, fish felt like cooking armageddon. Spend $25 on a gorgeous fish and if you cook it for just a little too long... *sigh*. Its over. My irrational phobia is gone, by the way, and I'm happily tossing their scaled hides in parchment whenever I can, but it was a seafood desert for a while there. Me too, SheWearsBoots! But I haven't moved on yet! I know fish can be healthy and flavorful but I've never cooked anything beyond tuna and salmon. I'd like to learn how to cook some mild fish with lots of herbs. I don't like strong fish flavors, but I'm thinking fish tacos might be a good place to start. If you want to break out of a rut, I heartily endorse buying a whole, gutted fish and cooking it that way. I know it sounds terrifying, but it is extremely easy, and very delicious. Cooking the fish whole keeps it from drying out, and is a gorgeous presentation. 2. Get a nice fish with gills and guts removed. 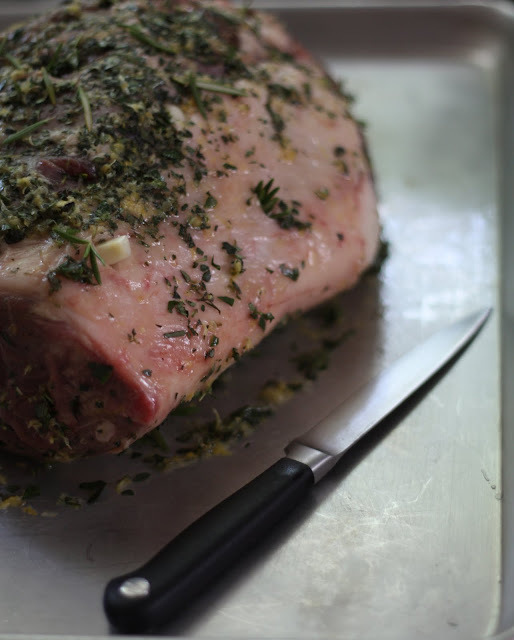 Rinse it thoroughly and pat dry with paper towels, then rub inside and out with your favorite olive oil, salt and pepper, and then stuff the cavity with fresh herbs (whatever you've got: rosemary, parsley stems, thyme, garlic, bay leaves, Old Bay. Whatever.